The Weather has been exceptionally changeable this week. We started the week with relatively mild weather for this time of the year and good fishing was had by all, with most catching double numbers using a mix of Buzzers and pinkies. Kenny Gill from Whickham caught 15 fish, Mr.Grey from Felling caught 25 and Gareth Done from Seaham 23 across all the lakes. 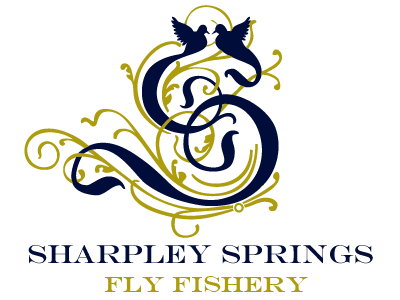 Sharpley Springs offers complimentary days fishing (catch & release) to our regulars on Christmas day. We had a great turn out with Alan Woods from Seaham catching 16 in total using either a Pinky or a Black Fritz, whilst Mr.Anderson from Bedlington caught 15 using a thin Black. Boxing day saw a great turnout with the sun shining, Chris Micalef from Stockton had the best results catching 20 fish in all using Olive Damsel. As the winds picked up on the Friday, we didn’t see any fishing, but the 28th was a beautiful day at the lakes, with clear skies and good fishing to be had. Andy Grabham from Stockton caught 22 fish in all, with Nymph and Olive Damsel being used. We have seen relatively mild, but unsettled weather over the weekend and Monday, the fishing has though remained good, with anglers using a mix of buzzers and olive worms successfully. Ben Race from Great Ayton caught 24 fish in all using Buzzers and olive worms and slow figure of eight retrieve. Sharpley Springs would like to wish you all a Fantastic New Year!